Purchase combined general goods and consumable goods become available for tax-free shopping. 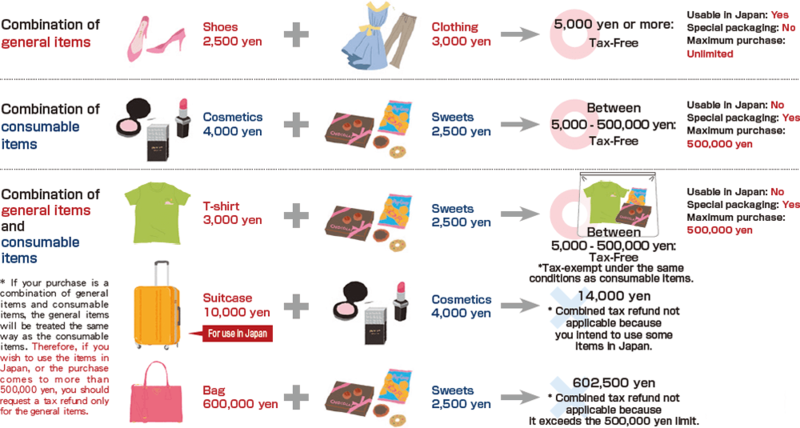 To make the most of shopping in Japan, you need to know about Japan's tax exemption program. 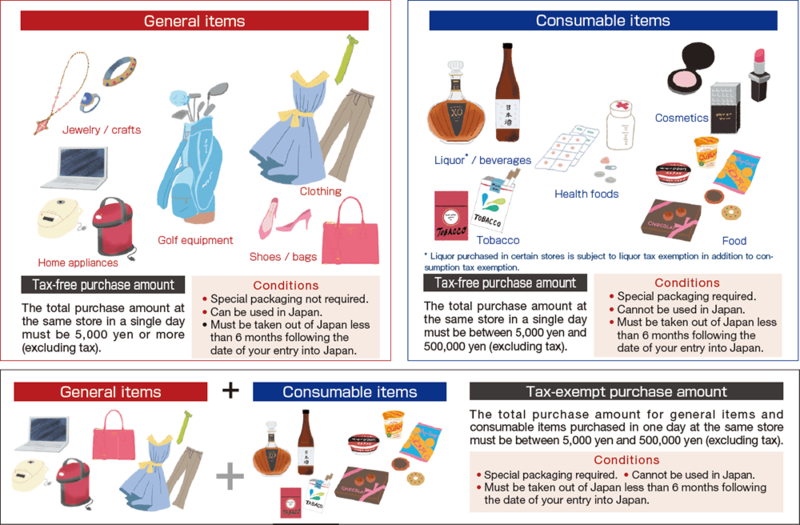 Tax exemption in Japan basically applies to all items, from general items such as home appliances, accessories, and shoes, to consumable items such as alcohol, food, cosmetics, tobacco, and medicines. Tax is exempt only under certain conditions. Let’s check them out below. The 8% consumption tax will be refunded. The 8% consumption tax is refunded as long as you are shopping at a tax-free store and file your tax exemption application on the same day. When you purchase merchandise, you can pay the tax-exempt price. The tax refund procedure cannot be carried out afterward at an airport or similar location. To carry out the procedure, you must show your actual passport, not a copy of the visa page. Cruise ship tourists need to show their cruise ship tourist permit. Purchases that total 5,000 yen or more qualify for a tax refund. The terms and conditions of tax refunds depend on the type of product. Check the diagram below for details. The program only applies to foreign visitors! 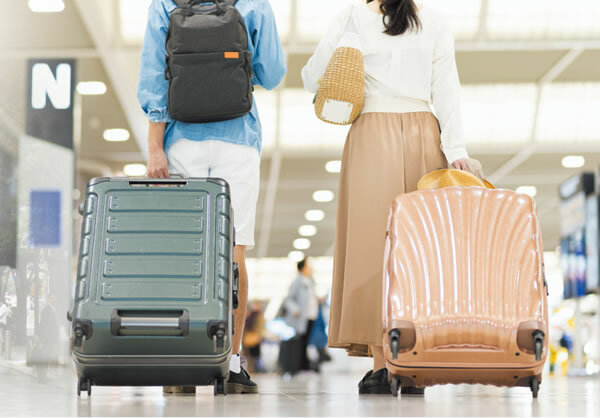 Only foreign visitors staying in Japan for less than six months can use this program. * Non-residing Japanese nationals may be eligible to apply for tax exemption. * Whether or not general items and consumable items can be combined for a tax refund depends on the store. If you hope to receive a refund for combined purchases,please check if the store offers it. Payments for items that are clearly for consumption within the country such as meals at restaurants are not eligible for tax exemption. Purchases made for business or sales purposes are also not eligible for tax exemption. Is this tax exempt or not?